Vredenburgh Lumber Company is a family owned operated business with a long tradition in the Beardstown Community. L. K. “Bud” Vredenburgh opened the lumberyard in 1952. He built his business based on a foundation of personal service and community involvement. He imparted both his business and his values to his sons, Pete and Jon Vredenburgh. 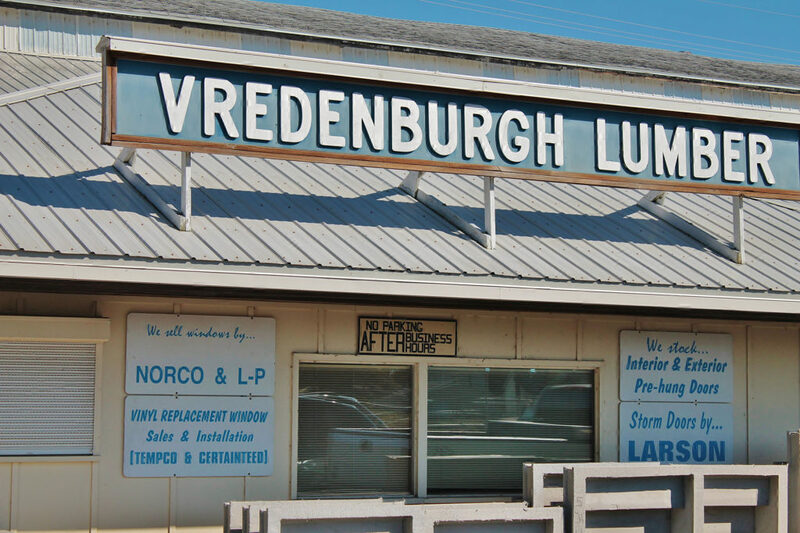 Vredenburgh Lumber provides the community retail building supplies, sand and concrete products, window and screen repair services, picnic tables, and custom made frames.